Another major milestone yesterday as the dream of moving to Scilly gets ever closer. Both Sheryl and I (Phil) left our full time jobs yesterday. Sheryl has worked for Hanson Quarry Products since 1999 so was a big day for her. 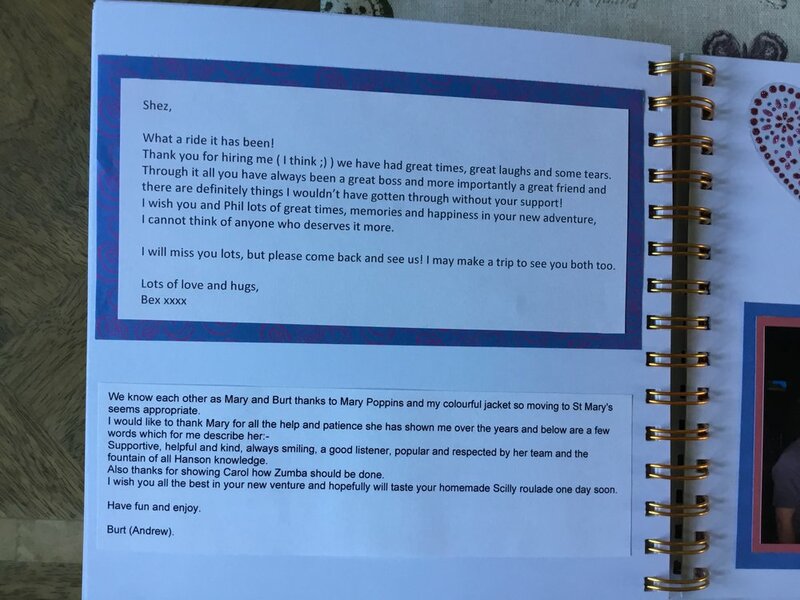 The Hanson team and the Haulier admin team really pulled out all the stops for Sheryl's last day. 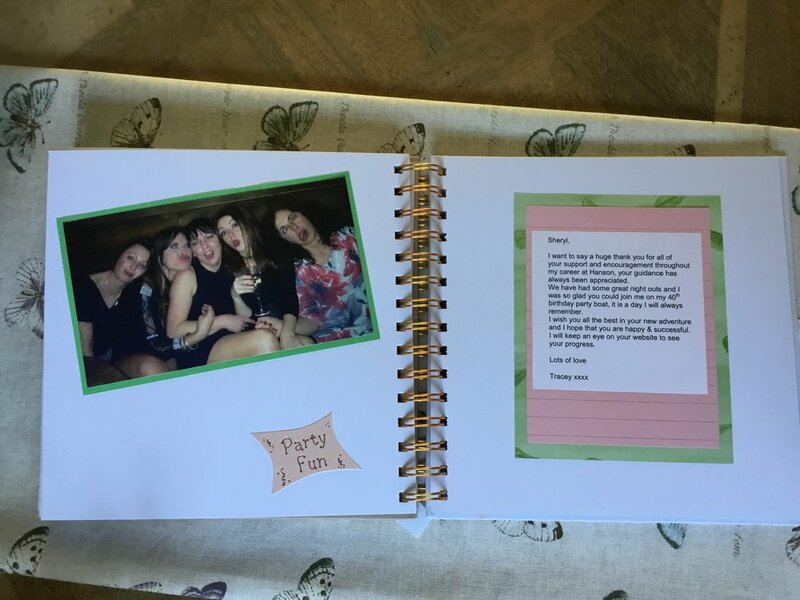 Check out the amazing photo's below of a memory book her team created for her where they have each left a special message and obtained best wishes from people old and new. 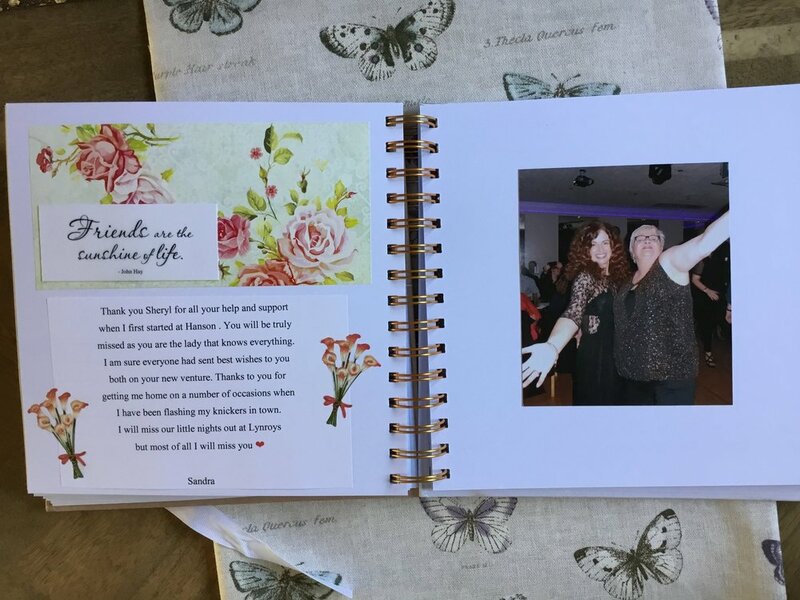 She also received a number of lovely gifts, she was totally spoilt. After reading these I am surprised she managed to hold it together.